Welcome! > Skincare > Do Bubble Face Masks Really Work? You spent most of your day running around in the hot heat or playing wonder woman in the office. Now that you’re home, getting rid of the sweat, grime and leftover makeup from your face with a nice bubble bath sounds like a good plan. Or if you’re like me, you’re never more relaxed than when you’re washing your face with your favorite facial products. Well, there’s a new beauty trend takes both of these rejuvenating past times a step further. You may have seen your Instagram feed transform from food selfies and inspirational quotes to foamy smiles as the bubble face mask gains more attention. These hydrating masks are apparently filled with healthy ingredients built to fight free radicals and outside pollutants, offering a new way to shake up your beauty routine. They are also supposed to give your face a deeper cleanse than normal skincare products. But do bubble face masks really work or are they just another passing social media fad? I put a popular brand’s mask to the test over the course of one week. I have sensitive, combination skin and break out often. This makes switching facial cleansers difficult. Anything that has a strong fragrance or is packed with chemicals is basically out. 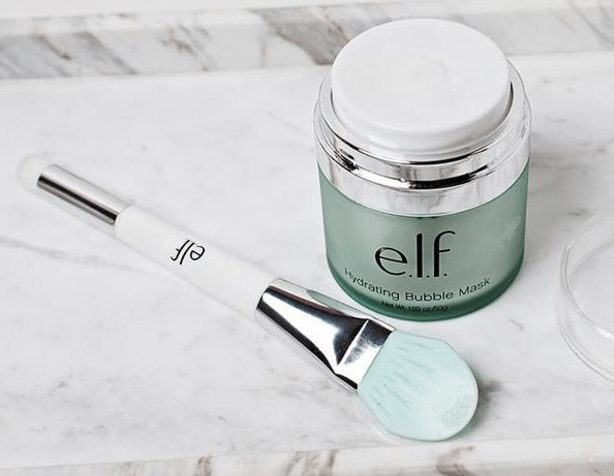 When I first picked up e.l.f.’s hydrating bubble mask after browsing through the store for two hours (and getting distracted by all of the different hydrating masks out there), I was skeptical. Although I am generally a fan of their makeup, I’ve never used their skincare products before and was hesitant about whether or not it would work. I decided to give it a try anyway and took it home for about $14, which is not a bad price. Over the next week, I incorporated the bubble mask into my morning and nightly beauty routine. There are so many hilarious videos circulating Snapchat and Instagram where the foam just keeps growing and turns beauty bloggers into sudsy monsters (seriously, browse through the #bubblemask hashtag and you will not be disappointed). I hesitantly went into this expecting the same results. At first, the transition from the gel into foam weirded me out a bit. I wasn’t sure how big it was supposed to get or for how long I had to leave it on for peak results. Luckily, it wasn’t as dramatic as the ones seen online. Immediately after application, I started to feel a tingle on my face as it began to fizz. Once I rinsed it off, I noticed that my skin did feel slightly smoother. I recommend leaving it on for a full ten minutes. After applying this mask for a solid four days, my skin had more of a natural glow. TMI warning: Even the more stubborn blackheads along my forehead and chin that were ready to pop slowly began clearing up. I didn’t notice a radical difference in its performance compared to my usual First Aid Beauty facial cleanser but enough to consider keeping it as a special guest in my facial routine. My skin feels a lot softer than when I started. It left my face feeling nourished and rejuvenated. The fact that I didn’t break out from using a new product (which ALWAYS happens) is a definite plus! Overall, this works well as a makeup remover in comparison to other facial cleansers on the market. My face sweats a lot so I was worried that I would not see any results. If you have serious skin issues such as acne or super oily skin, I would recommend a stronger product. However, if you have clearer skin, definitely give this a try.